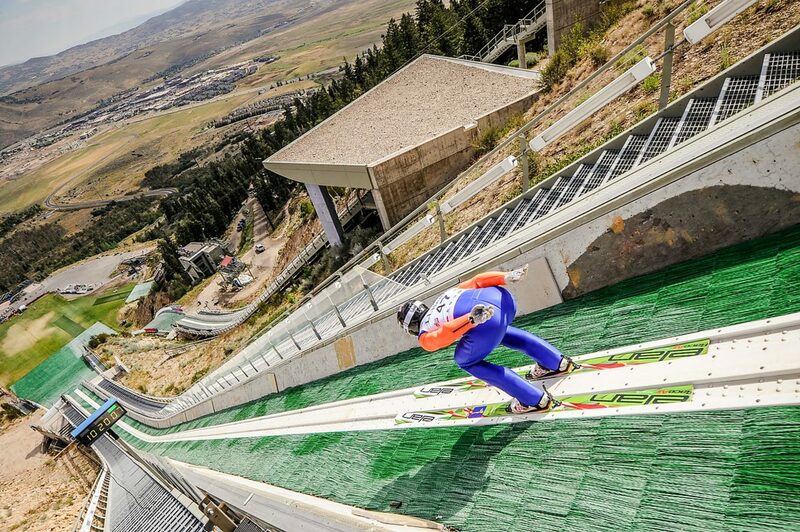 This Saturday and Sunday, the Utah Olympic Park will host the Nordic combined and ski jumping Olympic Team Trials – a winner-take-all event for U.S. competitors in which the No. 1 finisher will get an automatic spot at the 2018 Winter Games in Pyeongchang, South Korea. Here’s a look at the competition: who the contenders are and how the events are scored. 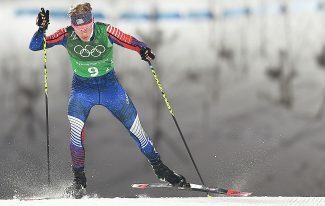 Alex Glueck, marketing manager of U.S. Nordic combined, helps break down the competition. Ski jumping will take place on the “normal hill” as opposed to the large hill, and will be scored on distance and style. The average landing distance for this hill is 90 meters, a distance set as a reference point for jumpers called the K-point. Those that reach the K point earn 60 points with a per-meter bonus for longer distances and a per-meter deduction for shorter distances. The event’s five judges will also look for style – how the athlete keeps their form in the air and how cleanly they land. Higher points are awarded for a telemark landing, which is considered safer. The high and low scores are thrown out, giving three scores for each jump. Jump heights and scores will be adjusted for bad weather. These rules apply for both for ski jumping specialists and Nordic combined athletes, but for the latter, it will determine race order. So far, the U.S. women’s team has only had two weekends of World Cup events, one in Lillehammer, Norway, and one in Hinterzarten, Germany. 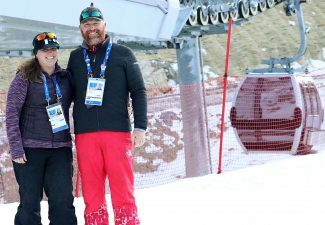 According to Gluek, the U.S. teams (in both ski jumping and Nordic combined) have been struggling to find training because of lack of snow early this season. Expect a tight competition when the jumpers return home. 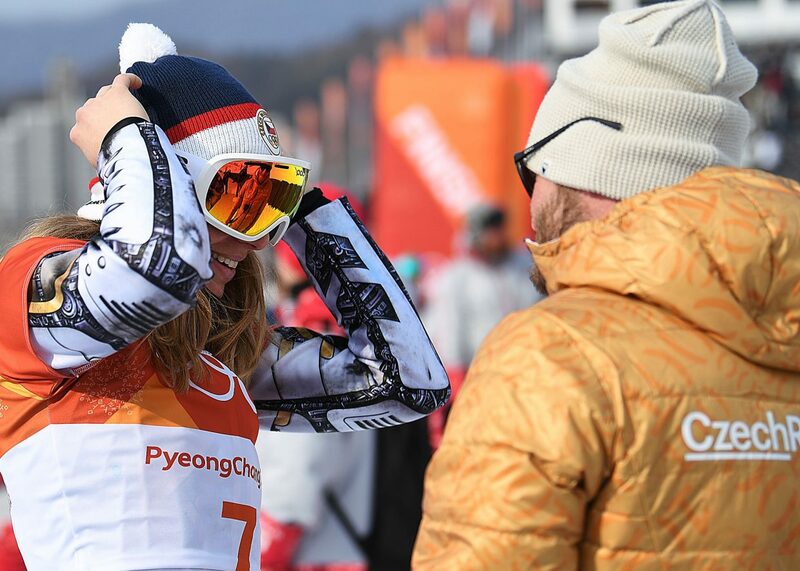 The World Cup competitors have all been finishing in or around 30th place over the season. Anita Englund was the only U.S. jumper on the World Cup leaderboard as of Dec. 26, with a high finish of 30th this season. She is followed by Nina Lussi, who has finished as high as 29th in a qualifying round and 34th outside of qualifying. Abby Ringquist will also be a strong contender. She took 33rd and 32nd in two finals events in Lillehammer, while Sarah Hendrickson could be a dark-horse competitor after topping out at 45th this after recovering from injury. Watch for local Will Rhoades, followed by Mike Glasder and Kevin Bickner. Glasder qualified 35th in an event in Ruka, Finland, but was disqualified from his next jump. He recently finished 47th in Englelberg, Switzerland. Park City local Rhoades has this season’s highest U.S. World Cup finish after taking 21st in Nizhny Tagil, Russia, on Dec. 12. 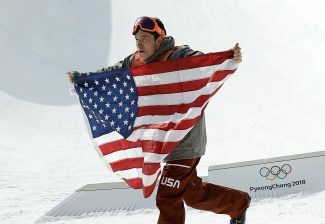 He is also the only U.S. men’s athlete on the FIS World Cup leaderboard, where he sits in 37th. Bickner has not finished high enough to get out of the qualifying rounds in World Cup events so far this season. Glueck said that, because of the format of this event – a single-day, winner-take-all jump – not to discount any athlete. Nordic combined, as its name suggests, is a combination of ski jumping and a 10K cross-country race. As mentioned earlier, the ski jumping portion is scored exactly the same in Nordic combined as it is in ski jumping. Athletes will compete with the same parameters on the same hill. However, the points that Nordic combined athletes earn from ski jumping will then determine their position at the start of the cross-country race. The first-place jumper leads the race, with subsequent jumpers starting later according to the score of their jump. Whoever crosses the finish line first wins. There currently is no FIS World Cup circuit for women’s Nordic combined, and therefore, the U.S. has not yet recruited one, Glueck said. 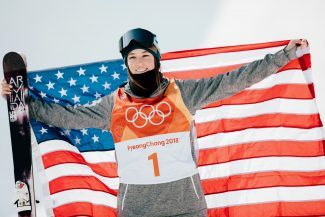 There are some ongoing efforts both in the U.S. and abroad create the sport, but the lack of a World Cup circuit means the U.S. will focus on women’s ski jumping for the upcoming Winter Games. Bryan Fletcher leads the U.S. in the World Cup right now. He is ranked 19th and is currently the only U.S. competitor in the top 50. Taylor Fletcher, Bryan’s younger brother, could give him a run for his money if he manages an outstanding jump. He recently finished 34th at the Ramsau am Dachstein World Cup in Austria, and, according to Glueck, is one of the fastest skiers in the world. “If he can put a good jump together he’s definitely a threat,” Glueck said. Then the Loomis brothers – Ben and Adam. Adam Loomis finished 52nd in Ramsau am Dachstein. Like each competition in this weekend, regardless of ranking and status, there will always be a chance someone can collect a seat to the Olympics plus the cash prize. Admission to the event is free. Nordic combined jumping starts at 9 a.m. with racing starting at 1 p.m. on Saturday. Ski jumping runs from 10:30 a.m. to 12:15 p.m. on Sunday. See UtahOlympicLegacy.org for more details.